It's very possible to multiply blockchain use with the help of recent database innovations. Here's how it works and why it's important. By now, the entire world has heard about blockchain and the wonders of Distributed Ledger Technology (DLT). 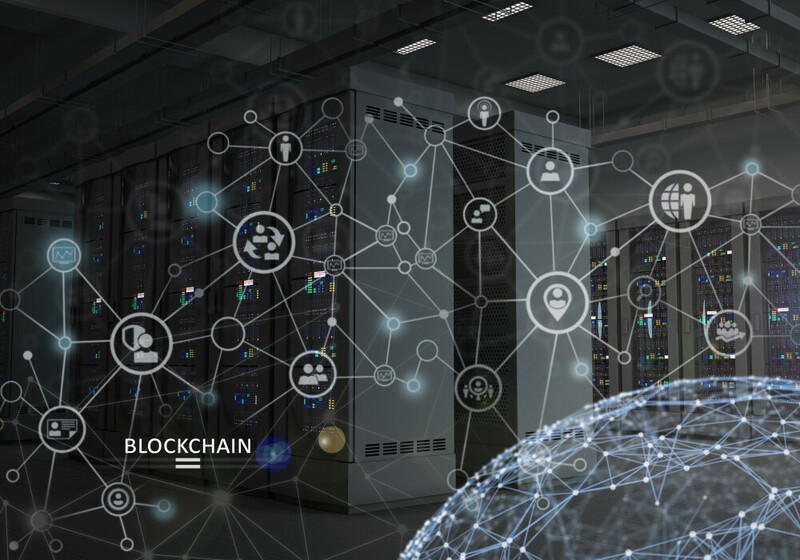 According to Business Wire, the value of the blockchain market is likely to get to as much as $US 8.68 billion by 2024. From what we understand about blockchain technology and the recent slump in the cryptocurrency markets where its primary use has been, this seems like an overestimate at first glance. However, further research shows that while cryptocurrency forms the most common use of the blockchain, it is not the only use of the blockchain. New innovations in database technology have made blockchain a viable alternative to modern technologies in a number of different areas. The simplest explanation of the blockchain can be given to us by Investopedia, which describes it as a decentralized, digitized public ledger of cryptocurrency transactions. While in essence this is correct, the specification for cryptocurrency can be safely ignored. The blockchain can be considered as a database, albeit one that is far more complex than the average enterprise database. Using current technology in order to combine a standard database with the blockchain is not only difficult, but could mean a massive overhaul of the entire database. Tools such as FlureeDB provide workable options for integrating a database with the blockchain with a minimum of effort. It does this by determining the priority of transactions (in this case, posts to the database) and separates the internal company data from the data that interacts with the world outside of the company, requiring blockchain-level verification for those transactions to be posted. This opens the floor to an entire slew of applications for a blockchain-enabled database. These days it’s almost impossible to run a business without having to make some sort of international transaction. The problem with enterprise-level transactions is that there usually needs to be multiple people involved in the middle in order to secure transparency and accountability. The blockchain removes the need for this by integrating trust into the very essence of the transaction. By doing so, a company not only cuts down on its costs through the hiring of brokers, custodians and financial managers as well as ensures that the ledgers that record the transaction are always up to date with the current consensus of the blockchain network. NASDAQ mentioned recently that West Virginia was intending to utilize a blockchain in order to ensure that votes weren’t tampered with. The idea of voting also hinges on the trust that is built into the blockchain concept. As votes are cast via transaction, they are verified independently and then added to the current block. This ensures that votes are recorded as cast and that any change to the vote after completing the transaction for casting it would require a consensus within the network to change – something that would be impossible to be done without being it being recorded as another transaction on the block. Treating the blockchain as a database is a simple matter of assigning each vote to the database when it’s cast making it easy to tally who wins at the end. The major pillar to blockchain’s success comes from its ability to guarantee trust. Smart contracts are another example of how we can use the blockchain in order to guarantee that trust is maintained. Basically, a smart contract is a contract based written to accept keys from two individuals for the exchange of goods or services that is automatically triggered by the delivery of the good or service. This can be useful when selling digital goods using online presentations with PowerPoint templates. At current, the blockchain is used as a simple token exchange market, where tokens pass from one user to another. However, smart contracts build on this ability to exchange tokens and add conditions that need to be fulfilled before those tokens’ ownership is transferred to the recipient. The simplest way to think about smart contracts is like automated escrow – once a particular condition is met, it releases funds to the entity doing the delivery. In the current paradigm of database management, security depends upon the ability of a network administrator to notice attempts to get into the network and change sensitive information. In the case of a blockchain, the idea of security is much different. FlureeDB utilizes rules in order to determine whether a particular block is valid or not. Once those rules conform to the data standard that the company is hoping to achieve, the blockchain secures itself through its numerous nodes. The more people building on a particular blockchain, the more secure that blockchain is. In this case, the amount of users added to a network increases its security rather than decreasing it in traditional database terms. While these advancements in blockchain make it a very attractive technology for use in a number of different situations, the sad reality is that we need to do more to raise the acceptance of blockchain as a viable technology, not least of all as an alternative for existing databases. As it stands now, many people still think that blockchain is only good for cryptocurrency. With a proper look at the current cutting-edge applications of the technology, however, we might actually see it being used for more than digital mining very soon.